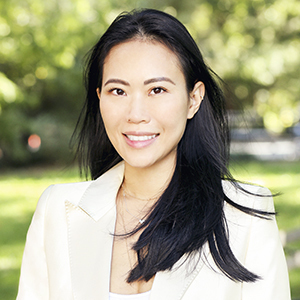 Ellen Yzabelle Lanks joins Compass after an extensive career in the luxury fashion industry. The exhilarating pace, her love for architecture and luxury interior design, and her passion for working with people are what motivated and inspired Ellen to pursue a profession in real estate. When she sees a space, Ellen sees the future. Her love for creating unique environments, coupled with an in-depth knowledge of New York City's diverse landscape, inspires her unparalleled approach to real estate. Her love of design coupled with an impeccable eye gives her the ability to quickly grasp the aesthetic vision of individual clients. Ellen believes it's hard to find the perfect apartment or townhouse that has everything exactly as you want it. That's why she will do much more than just show buyers houses, she opens up opportunities by lending her vision to help them see the possibilities of a space. Sellers equally benefit from her keen aesthetic eye that hones in on the best assets of a property for maximum presentation appeal. As proud, native New Yorker, Ellen is familiar not only with the city's appeal and what it has to offer, but also with how to educate buyers about the diverse neighborhoods and the complex worlds of Brooklyn and Manhattan real estate. She brings to her real estate practice an intimate knowledge of the city, keen business sense, and the arts of merchandising, marketing, negotiating abilities, budget analysis, and strong interpersonal skills. What also lends to Ellen's core competency is her honesty, accessibility, tenacity, compassion, and sensitivity to people's needs. Through the most attentive personal service and a fine ability to hone in on the special qualities of each particular property, Ellen carefully matches buyers to the home that's best suited for their lifestyle. Her passion for international travel and anthropology has enabled Ellen to learn about different nationalities, lifestyles and preferences which aid her in working not only with New Yorkers, but also with clients coming to live in New York from all over the world. Being bilingual in English and Mandarin Chinese enables her to address an international client's needs as effectively as a New York local's. Ellen is a longtime supporter of the Metropolitan Museum of Art, and NY Cares.